Even healthy individuals can contact influenza, a potentially dangerous respiratory illness caused by influenza viruses that can lead to hospitalization and even death. Those at particular risk are infants and seniors aged 65 years and older, among those whom about 90 percent of flu-related deaths occur during the flu season (which begins as early as October and lasts as late as May). Even if a younger person suffers from a mild case of the flu, he or she may spread the virus to someone else who may have a compromised immune system. 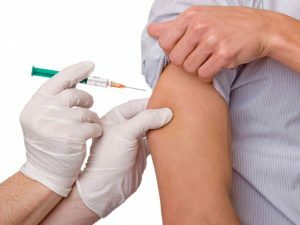 The best way to prevent the spread of the disease is to get a flu shot, which causes antibodies to develop in the body about two weeks after vaccination. A large amount of illness and death caused by conventional or seasonal influenza can be prevented by annual influenza vaccinations. At Med-Fast Pharmacy, we monitor the latest research performed, so that we will always have the most up-to-date and accurate advice and knowledge to share with you, our valued customer.